There are loads of things that never cease to amaze me about beer. For instance, how often do you see a fat brewer? Not that often. And yet they’re around beer all the time – they have some at work, they have it at special events, they have it at beer festivals. They must surely drink heaps of it. And yet hardly any of them are fat. I need to lose weight, maybe I should become a brewer. Something else that always amazes me is how brewers manage to hide shitloads of alcohol in their beer. You can have a super-boozy beer but you taste it and think ‘‘nah, that ABV count has to be wrong. No way is this a 10 per cent beer’’. 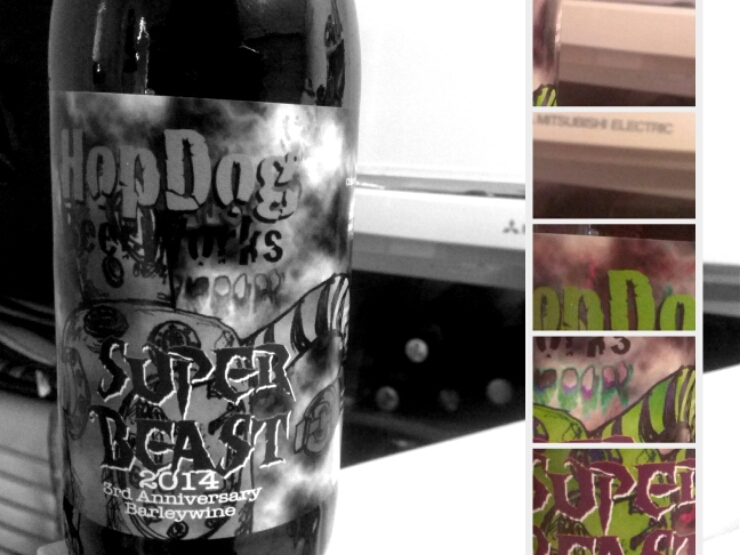 The latest example of this is HopDog’s SuperBeast – which is some kind of monster. Brewed by Tim Thomas every year to mark the anniversary of the Nowra brewery. I liked the first one, but didn’t like the second – it was made with peated malt, which made it smell like whisky. I had a mentally scarring experience with whisky in my teens so now just the smell turns me off. But Year Three Beast contains no peat. But a lot of alcohol – though it doesn’t taste like it (and I hope you agree with that because otherwise I’ll come across as some huge lush who is immune to 10 per cent beers). It pours a murky brown colour and throws off some tropical fruit and honey notes. With the Mosaic and Citra hops it reaches a notional 200 IBU (I say ‘‘notional’’ because I’m not sure the hop-o-meters can measure that high). Anyway, it needs a lot of hops to balance out the huge alcohol-giving malt. Which they do – the flavour is a huge, syrupy tropical fruit and toffee flavour that manages to be quite balanced. No mean feat for a 10 per cent beer. I might even say that, for a barleywine it’s quite sessionable. Though talking about sessionable barleywines will surely make me sound like a lush. I know what you been about drinking beer that totally doesn’t taste the alcohol percentage it says it is. I’ve had quite a few of them and sometimes its a mark of a beer thats not as good if you can taste the strength. I loved the 2013, with the peated malt. I just picked up a 2014 but havent had a go yet. Expecting big things. 2014 is different – no peated malt fortunately – but still big and tasty.